In the summer of 2013, Michelle Zauner’s main band, Little Big League, went on hiatus. 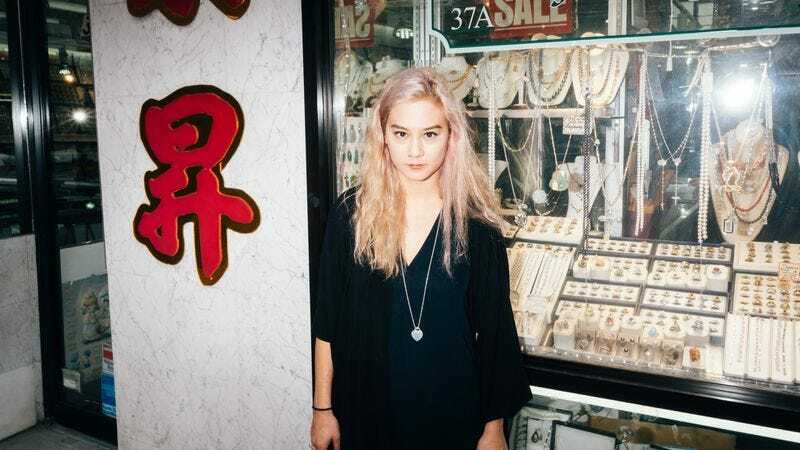 Though it was brief, Zauner underwent a song-a-day project to fill her time, eventually releasing those 30 songs under the Japanese Breakfast moniker. Since then Japanese Breakfast has put out a couple more cassette tape releases, but on April 1 it will finally unleash its debut full-length, Psychopomp. The A.V. Club is premiering “Everybody Wants To Love You” which shows how just how dexterous Zauner can be, below. With a sound like if Fleetwood Mac were to try its hand at trance-inspired pop music, “Everybody Wants To Love You” is the perfect post-Valentine’s Day comedown for lovers and loners alike. Pre-orders for Psychopomp are available now.